If you are a small quantity generator (someone who generates between 100 and 1000 kg of hazardous waste per calendar month), you should make a point of keeping track of how much waste you generate in a month. The law does not require you to do that. But it is to your great benefit to do so. Why? Just read the last paragraph of an actual Hazardous Waste Inspection Report from the Pennsylvannia Department of Protection. Click here dep-inspection-form. The facility was in fact a SQG. The inspector was wrong. But in the absence of any documentation that showed the facility never generated more than 2200 lbs of waste in a calendar month, the inspector assumed incorrectly that the facility generated all the wastes that were shipped out in August of 2001 in that month. The reality was that the wastes in the two shipments made in August had been accumulated over the past several months. If the facility had kept track of its waste generation, the inspector would not have made the wrong assumption. All you need is a piece of paper showing the date a 55-gallon waste container becomes full. There are a couple of things to keep in mind about your environmental plans. The first thing to remember is that many plans are “performance based”. It means that it is not sufficient to say what you are going to do in a plan, you must actually do it! The SPCC (spill prevention control and countermeasures) plan is a classic example. 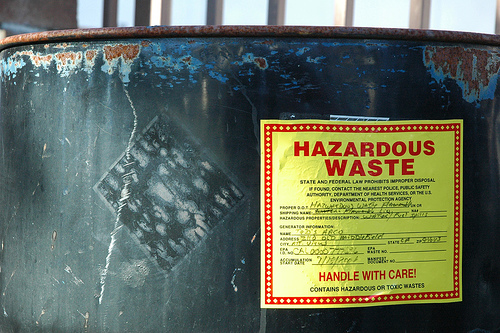 If you – or the consultants who prepared your plan – say you are going to do weekly inspection of your oil storage area, you are expected to have a weekly inspection checklist to show the EPA inspector. The agency will always look for “evidence of implementation” on your part. So if you can’t do it, don’t put it down in your plan. The same goes for RCRA contingency plans, and storm water pollution prevention plan. The second thing to remember is that you must sign and date your plans and keep them current. Many facilities have been cited for not having their SPCC plan signed off by their plant management. They also get a citation if the lists of personnel in the plans are not current. These are the most commonly cited violations because they are easy for the inspector to uncover. The State Attroney General of California Jerry Borwn said Heinz, Frito-Lay, Kettle Foods and Lance had agreed to sharply lower acrylamide levels in the potato chips and french fries as part of a settlement announced last Friday. 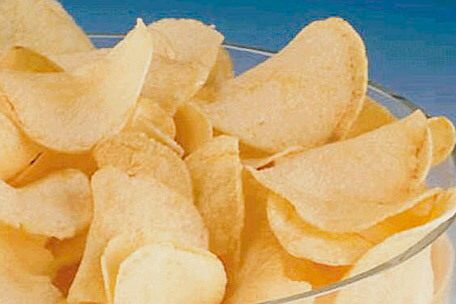 Acrylamide is a byproduct of frying, roasting and baking foods, particularly potatoes, that contain certain amino acids. It is also one of the Prop 65 chemicals in California. The Prop 65 list identifies chemicals that can casue cancer or reproductive toxicity. Under state law, all products sold in California that contain any Prop 65 chemicals must bear a warning label. Prop 65 is one of the many topics that we cover in our 2-day environmental seminars.